Prints: we seldom see an exhibition dedicated to them, yet there’s no better medium for conveying detail, humour and double meaning. That much is intrinsic to their enigmatic flatness. Take The Practice of the Visual Arts, a 1573 print by Cornelis Cort, which is on show in this summer showcase. It’s an allegorical portrayal of the goddess Roma with an entourage of artists — and look, there’s an engraver present, representing all those hunched artisans who nobly selected painstaking gouging and scratching with blades and ink rollers, rather than flashy oil paints. But size up the work a little differently, and the artists appear to be forming a pyramid; a hierarchy. And where’s our engraver? Squashed into the bottom corner. Much like the Courtauld’s recent Romantic Landscapes watercolour exhibition, Bruegel to Freud is there to big up an artform which even ardent gallery-goers seldom go to see in isolation. The biggest revelation is how well the flattest of art forms can emulate the most three-dimensional. Christoffel Jegher’s 17th century woodcut The Temptation of Christ, after a Rubens painting, has a dramatic sculptural quality; the contours of its chunky cross-hatching reveal a lot about how the Old Masters approached rounded forms. So too the moderns: one Paul Gauguin print is suggested to be a ‘low-relief sculpture’ of sorts, because the block from which it was printed has been sandpapered and carved up. 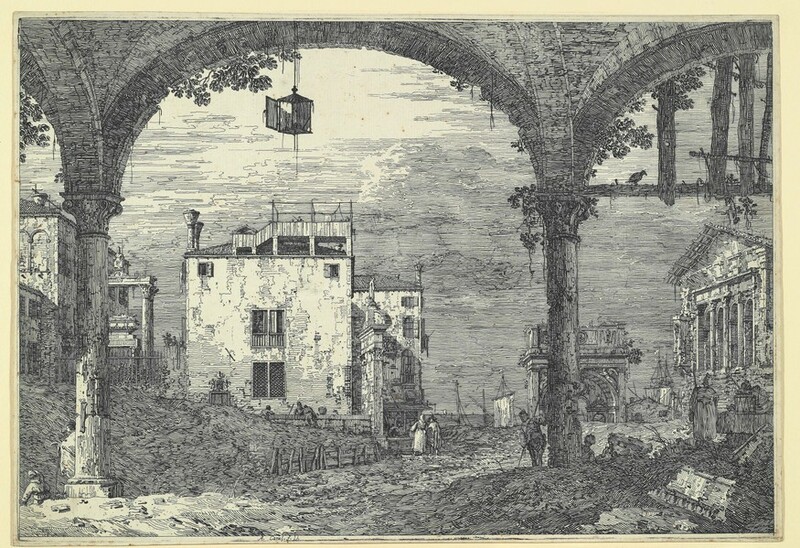 An etching by Canaletto from the 1740s is scarcely recognisable as one of his works, in that his trademark vertical forms are traded in for wavy horizontals, which suggest humid Venetian air with a simple ingenuity whose like is not always appreciable in a more complex piece, like a painting. 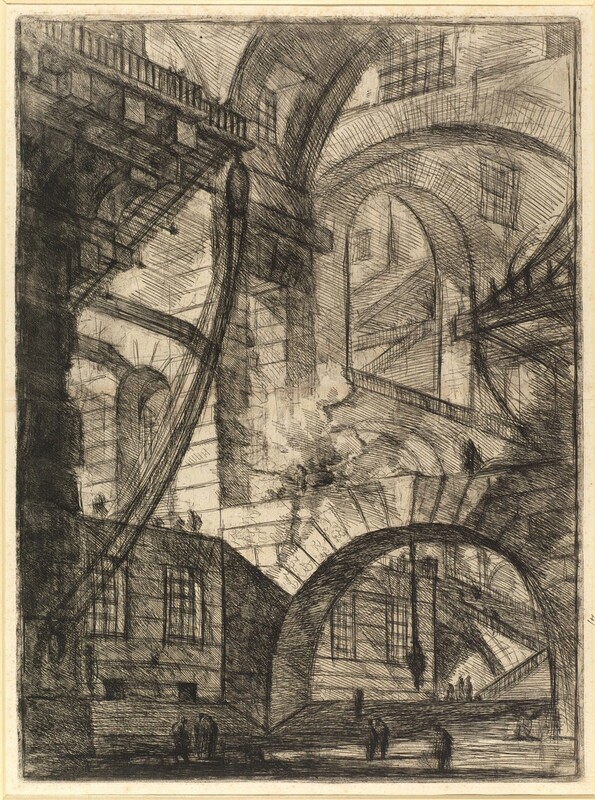 Atmospheric effects are similarly rich in Giovanni Battista Piranesi’s Smoking Fire, whose imagined 18th century prison-scape is a menacing network of brooding architecture and shadow-hurling arches. 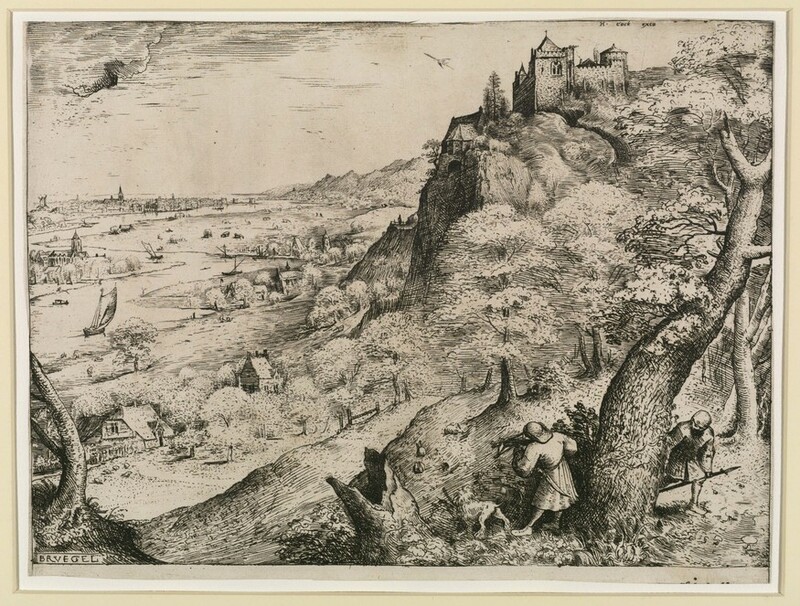 Cleverly positioned next to it is Pieter Bruegel the Elder’s 1560 print The Rabbit Hunt — all about bright, spacious landscape — which serves to argue the surprising versatility of printmaking in dilemmas of light and dark. There is time also for a brief lesson on the medium’s historical significance in the dissemination of information. A 17th-century ‘siege map’ of St Omer and a copy of the hefty Renaissance book Speculum Romanae are functional as well as aesthetic, while a huge 10-plate engraving of Michaelangelo’s Last Judgement performs piety on a bedroom-poster scale. Depicting an intimate scene of the artist sketching with her daughter, a Berthe Morisot drypoint drawing is one of many works which reference the commitment required for this intensely technical, infernally complex, and often unfashionably monochrome format. The show’s most memorable images, in fact, are all highly reflexive in that they recall the humble engraver in that Cornelis Cort work. 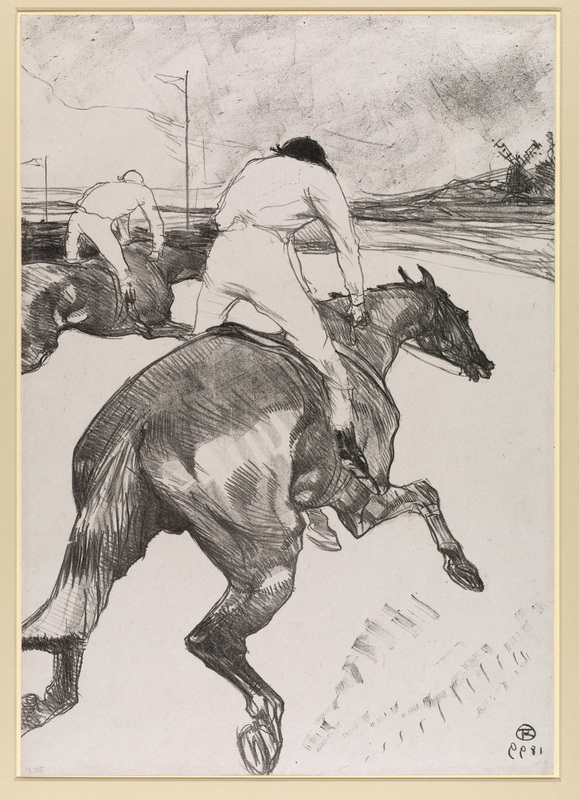 In giving some of its lesser-known holdings an airing, the Courtauld makes a decent case for printmakers as a special society indeed. 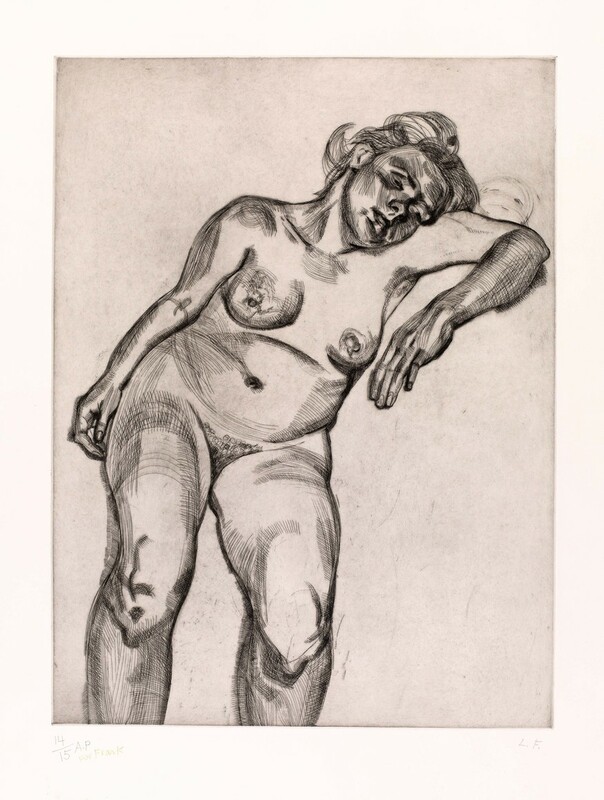 Bruegel to Freud runs until 21 September at the Courtauld Gallery, Somerset House, WC2. Entrance included in general admission: £6 adults, £5 concessions, £3 on Mondays (including public holidays); free at all times for under-18s, full-time UK students and unwaged.